When organizations think of security, they may immediately visualize preparations for workplace violence or active shooter incidents. Keycards, cameras, even rows of monitors displaying live office footage may also come to mind. Security extends far beyond the physical protection of the workspace. In creating a comprehensive security plan, modern businesses can be equipped with highly skilled investigators that help them avoid high-risk relationships, as well as minimize potential exposure during litigation. Due diligence is a business practice through which organizations conduct in-depth investigations on topics ranging from foreign business partnerships, executive backgrounds and employee contacts, actions and relationships. Used regularly as a business practice, businesses can stay two steps ahead of potential conflicts that may result in loss, fraud, violence and reputation damage with a nominal initial investment. Smart businesses know that due diligence saves time, money and risk. Employers are responsible for providing protection from workplace hazards and hostility. RAS works with clients to understand their risks and obligations and create smart and simple approaches that meet legal criteria to reduce liability. Most businesses establish partnerships, which may come with undisclosed complexities. When dealing with foreign businesses, experts in due diligence are trained on federal disclosure laws and understand the data points that are required for reporting. When dealing with domestic partnerships, a small investigative investment can ensure sound business practices and financial stability. A dollar spent in preparation can save far more in recovery. While unfortunate, employers are exposed to a variety of liability in the day-to-day operations of their business. A common example of this is employee theft and fraud, a common issue for many businesses. A group of employees may work together to siphon resources from the organization. Often these incidents are difficult to discover and to prove. Working with an investigator on an ongoing basis allows business leaders to stay ahead of potential business conflicts before they happen. Trained experts are able to obtain insight that an intelligent, but untrained, individual would likely miss. Ongoing Due Diligence is not only the answer towards building peace of mind, but business assurance. Experts in Investigation are trained in techniques that allow them to assemble data points that are not readily available to others, making their work a central part in incident management of many kinds. Legal issues are common for businesses of all kinds. From Employee Litigation to Intellectual Property issues, executives rely on Investigators to obtain information that will support or invalidate a case as needed. Clients often ask us when to conduct due diligence investigations. As experts in security, our answer is “Always”. It is our perspective that an executive should know just as much about another business or business-related person as they do about their own. Where potential exposure to risk is involved, smart leaders know that information is power and surety. New Office Space- Office space is a large investment. 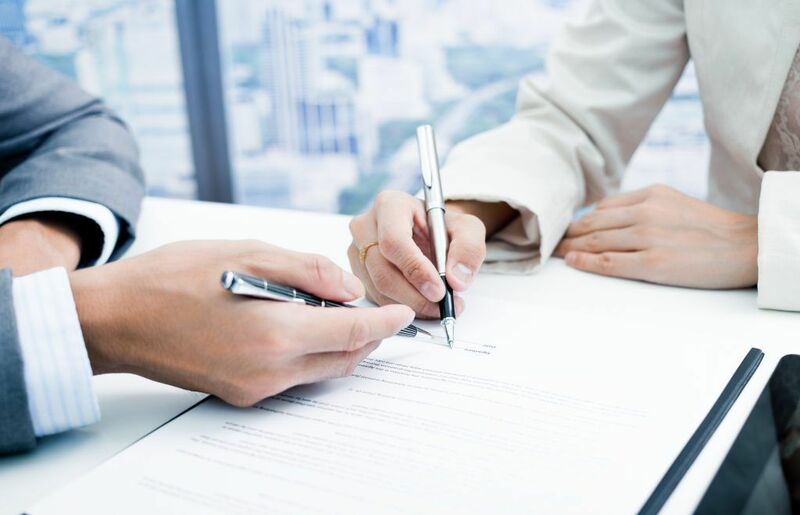 Make sure you know everything about the management firm, building conditions, location and other businesses in the building before signing a lease. International Partnership – Be sure to gather information required for federal reporting to avoid fines. Employees – Where concerned, be sure that employees you have hired do not have a history of fraud, violence or ethical conflicts. Vendors – Investigate financial status, legal issues, even the location of warehousing facilities to insure your investments. Consultants – Consultants that handle sensitive data such as IP or business strategy hold your business in their hands. Large Leases or Purchases of Real Estate and Equipment – Does the business have a healthy cash flow? Are there hidden liabilities? Executives – Hiring an executive to run your business is one of the most important decisions that an owner can make. It is important to be sure to know as much about your executive leadership team as possible.